Techland’s parkour and zombie game, Dying Light, is due out at the end of the month, so it’s time to start asking the question, how helpful is parkour when attempting to avoid zombie-related death? 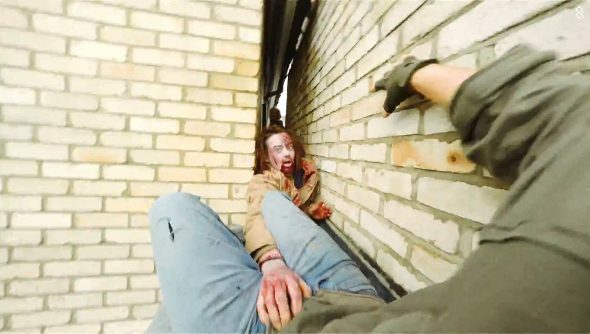 Conveniently, Ampisound, the folks that created the excellent Mirror’s Edge parkour POV video, took advantage of a recent zombie outbreak in Cambridge, and you can see that it’s an effective way to avoid being eaten by the undead for at least a wee while. I never realised that I had vertigo until now. It’s good stuff though, isn’t it. Anyone out and about in Cambridge must have gotten a bit of a shock as they watched a chap getting hounded by corpses across rooftops. If you’d rather see parkour and zombie action in the game, then Techland has you covered, as the studio’s 90 minute Twitch stream from last month has hit YouTube. Dying Light is due out on January 27th in North America and the 30th in Europe. Keep an eye out for our review.